Three Acadia pens headed to Colorado. The three gold Acadia pens pictured above are part of a group that I turned over the weekend. The top one is Maroon Fleck, the middle one is Caribbean Swirl and the bottom one is Light and Dark Green Swirls. All are made from acrylic. 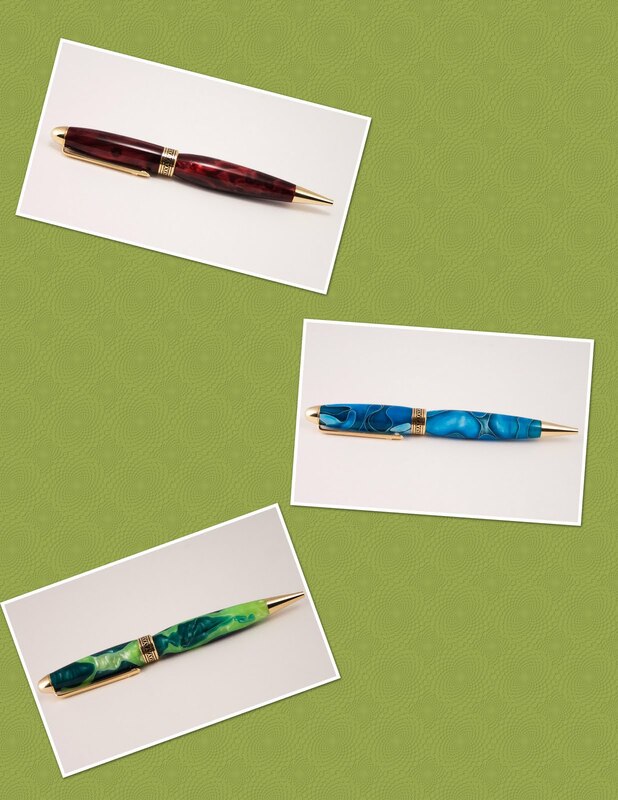 The three of them along with nine more Acadia pens made in various acrylic colors are headed to a new store for us called the Colorado Collection in Centennial, Colorado.